That driftWOOD is great drawn, dearest Nadeschda! Love the little holes from knotholes, that texture... the nails. Ah, and you've adapted woolf's colour of dress. Ever an eye for the big picture, right? WHOever did this is an artist! Best wishes for your weekend! is this a who like the crying of a woolf like whooooo? Oh just gorgeous. Your driftwood has such beautiful shapes and textures ... just the thing to dream away on. wish you a great sunday, dear nadine crusoe (I smiled about arianes words!). Excellent imagination your have and well executed too. Oh yes I like Die Raumfee's idea of a drift wood font!!! 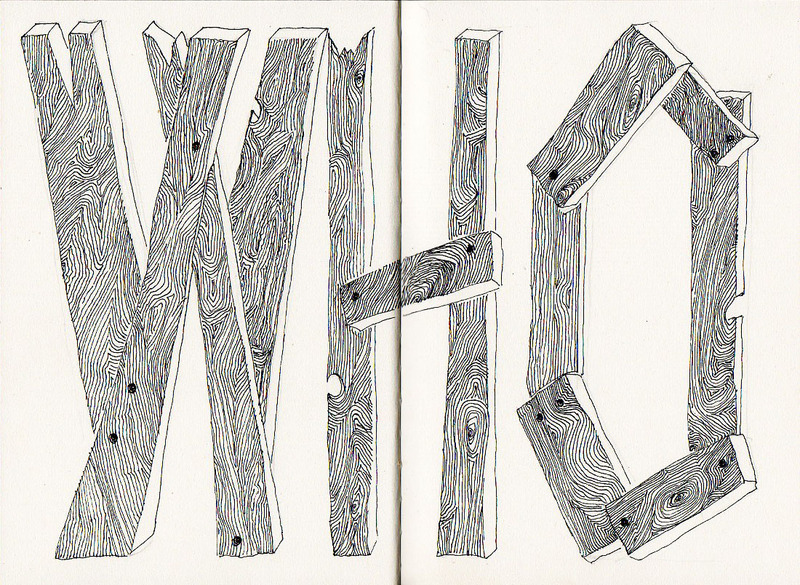 Great drawing - I love the details of the wood. Love this one! great drawing Nadine!! !